St.George Church Edappally Perunnal begins on 23rd of April and the flag is hoisted on 25th of April. The annual feast at the St. George’s Church is celebrated on May 3rd and 4th and the Octave on May 10th and 11th. 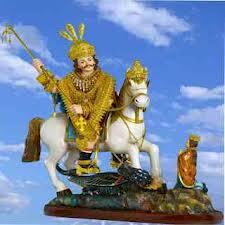 On May 3rd and 4th the idol of the deity is taken out in a grand procession along with the devotees. Before the feast there is 40 hours of adoration and 9 days of novena in preparation to the Feast.